Center City's Electric Light Parade is Friday. 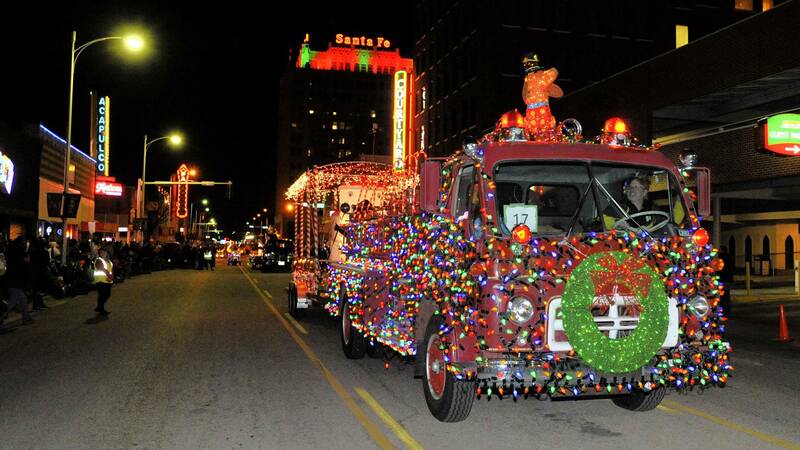 December comes roaring in with a slew of holiday traditions, including Amarillo's Electric Light Parade and PPHM's Christmas Open House, plus plays, dance and more. 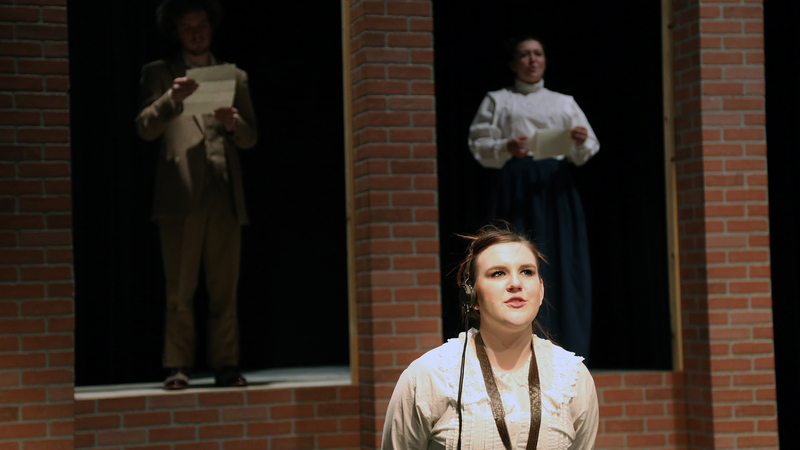 TheatreAC's "Silent Sky" opens Thursday and runs through Sunday. 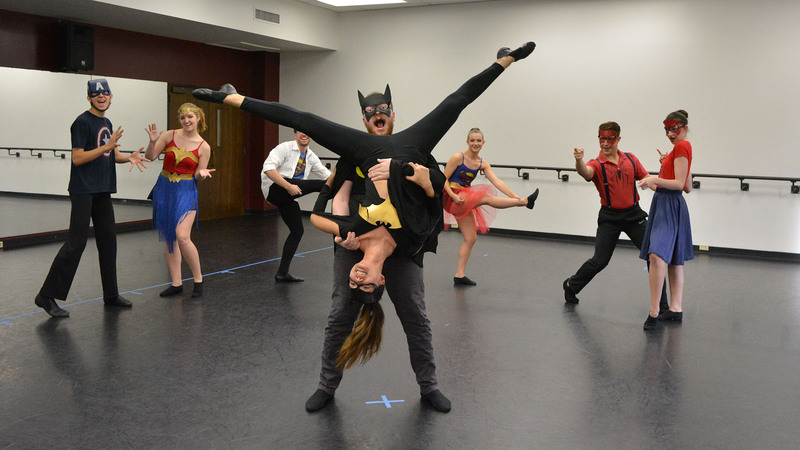 West Texas A&M University's "Falling into Dance" will be staged Thursday through Sunday. 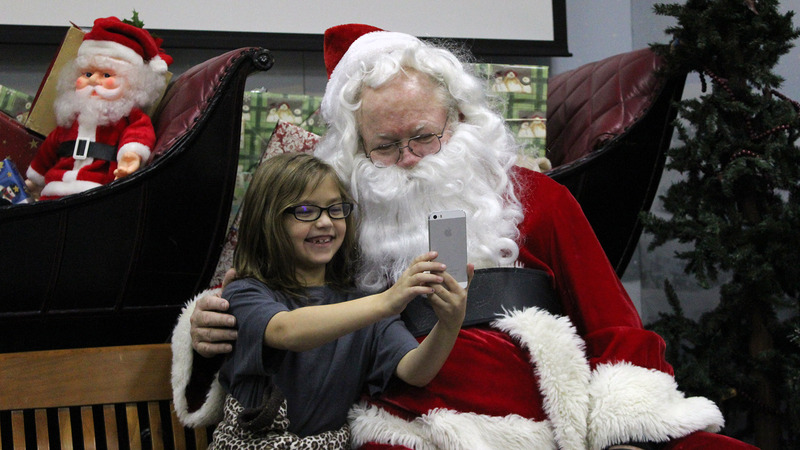 A young girl takes a selfie with Santa Claus at the 2016 Christmas Open House at Panhandle-Plains Historical Museum. This year's event is Friday and Saturday. 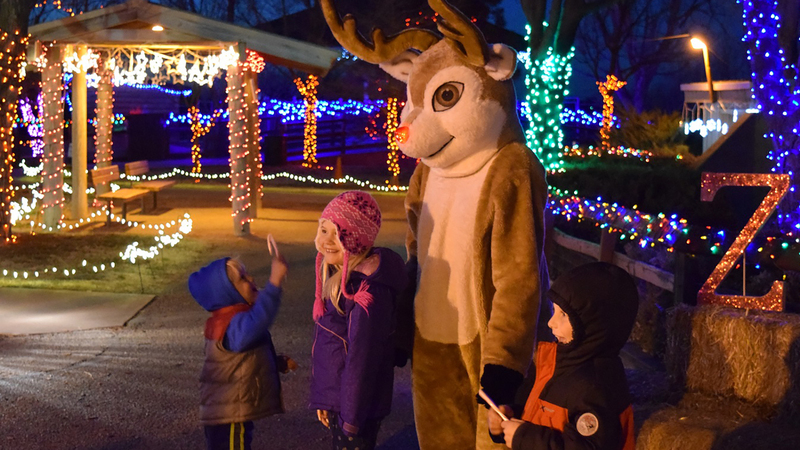 Amarillo Zoo's Zoo Lights is open daily through Dec. 23 with special events on Fridays and Saturdays. 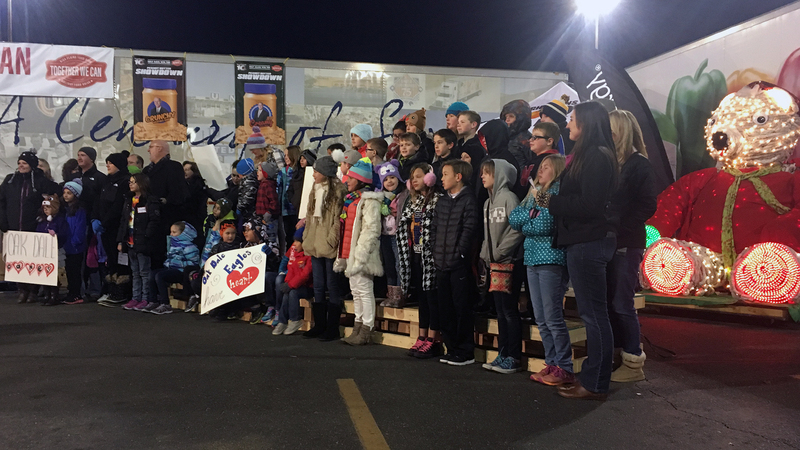 High Plains Food Bank's Together We Can Holiday Food & Fund Drive kicks off Monday. 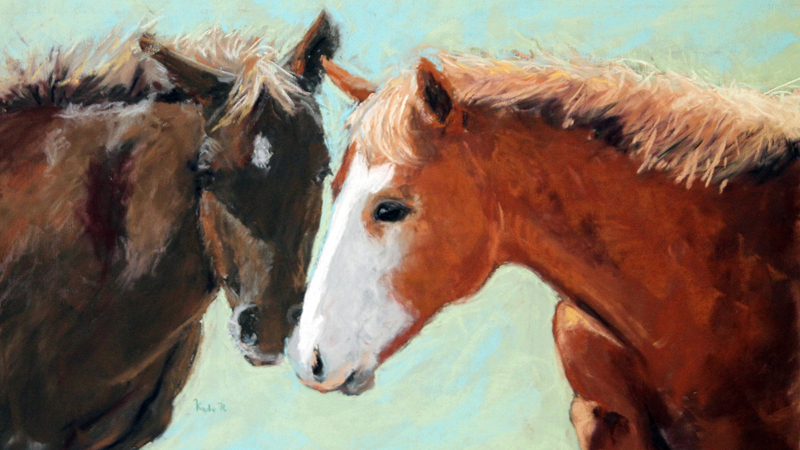 "Doc," a painting by Cheyenne Blacksher, is among the works that will hang in American Quarter Horse Association's Youth Art Show beginning Tuesday. 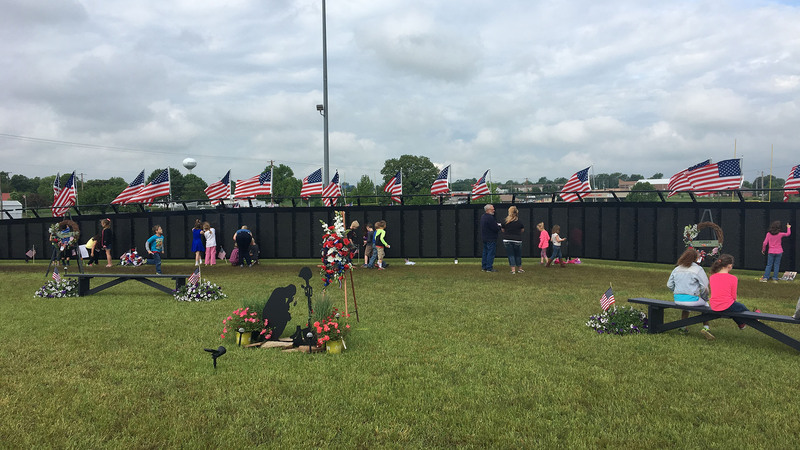 The Wall That Heals arrives Wednesday in Amarillo and will be on view through Dec. 10. 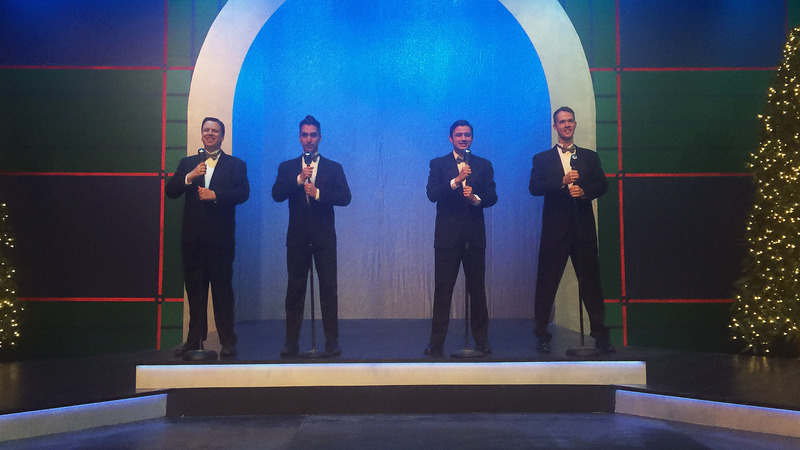 Justin Loe, from left, Ryan Sustaita, Cesar Mendoza and Brad Lovett star in Amarillo Little Theatre's "Plaid Tidings." Amarillo Botanical Gardens: The gardens, 1400 Streit Drive, are open 9 a.m. to 5 p.m. Mondays through Fridays and 1 to 5 p.m. Saturdays beginning Nov. 1. Admission is $5 adults, $4 seniors, $2 children through eighth grade. Call 806-352-6513. Amarillo Museum of Art: The museum, 2200 S. Van Buren St., features a trio of Vietnam exhibitions through Dec. 30. It's open 10 a.m. to 5 p.m. Tuesdays through Fridays and 1 to 5 p.m. Saturdays and Sundays. Admission is free. Call 806-371-5050. Amarillo Public Library: Look for daily events for children (and book clubs for adults) throughout the fall at all branches. Call 806-378-3051. Amarillo Suite Escape: Visitors can attempt to escape from three rooms with rotating themes at this attraction, 715 S. Lamar St. Hours are noon to 11 p.m. Tuesdays through Sundays. Cost is $20, plus tax. Call 806-640-3831. Bill’s Backyard Classics: The classic car and truck museum, 5309 S. Washington St., is open 10 a.m. to 5 p.m. Mondays through Fridays. Admission is $10 for ages 13 and older. Call 806-373-8194. Cerulean Gallery: The gallery, 814 S. Taylor St., features Take It All In through Dec. 21. It's open 10 a.m. to 3 p.m. Mondays through Fridays and by appointment Saturdays. Call 806-576-0063. Don Harrington Discovery Center: The center, 1200 Streit Drive, is featuring Travel Adventures through Jan. 9. Hours are 9:30 a.m. to 4:30 p.m. Mondays through Saturdays and noon to 4:30 p.m. Sundays in the summer. Admission is $11 adults, $8 children and students (to age 22), military and seniors. Call 806-355-9547. Extreme Laser Tag: Take aim at this indoor attraction, 2503 S.W. 45th Ave. Hours are 6 to 9 p.m. Thursdays, 6 to 10 p.m. Fridays, 2 to 10 p.m. Saturdays and 2 to 7 p.m. Sundays. Admission is $13. Call 806-367-8954. The Galleries at Sunset Center: The galleries, 3701 Plains Blvd., are generally open 10 a.m. to 5 p.m. Mondays through Fridays. Admission is free. Call 806-353-5700. Harrington House: The historic home, 1600 S. Polk St., features free holiday tours through Dec. 19 conducted on the half hour from 10 a.m. to 12:30 p.m. Tuesdays and Thursdays. Call 806-374-5490. Lake Meredith National Recreation Area: The park, located 50 miles northeast of Amarillo near Fritch, is open 24 hours a day. The area also includes Area includes Alibates Flint Quarries National Monument. Admission is free. Call 806-857-3151. Palo Duro Adventure Park and Zip Line: This attraction, located near the entrance of Palo Duro Canyon State Park, is open 10 a.m. to 6 p.m. Fridays through Sundays after Labor Day, weather permitting. Call 806-488-2260. Panhandle-Plains Historical Museum: The museum, 2503 Fourth Ave. in Canyon, is featuring The Great War and the Panhandle-Plains Region and A Picture from Home: Snapshots of the Great War on the Plains through Dec. 30. Hours are 9 a.m. to 6 p.m. Mondays to Saturdays and 1 to 6 p.m. Sundays through August. Admission is $10 adults, $9 seniors, $5 children and free for members and children younger than 4. Call 806-651-2244. Texas Air & Space Museum: The museum, 10001 American Drive, is open 9 a.m. to 4 p.m. Mondays through Saturdays. Admission is free; donations accepted. Call 806-335-9159. Xcape Room Warehouse: The newest escape room attraction, 714 S.E. 10th Ave., is open from 6 to 8:30 p.m. Thursdays, 6 to 11:30 p.m. Fridays, 12:30 to 11:30 p.m. Saturdays and 2 to 7:30 p.m. Sundays. Admission $25. Call 806-353-6353.